High grade cameo proof-like PL-67. 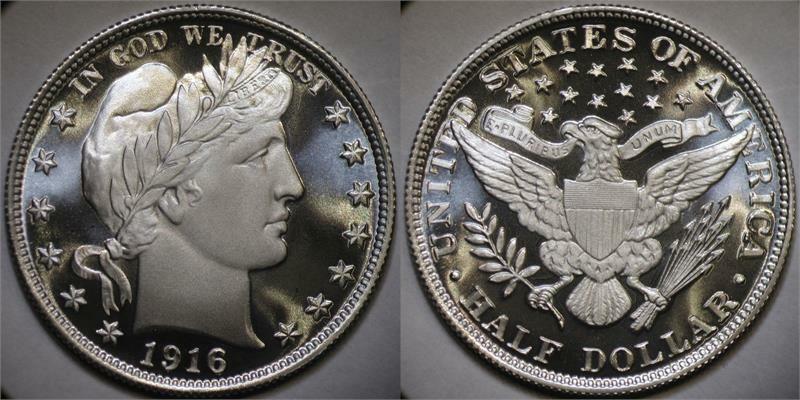 The 1916 Barber silver half dollar is a coin that could have been. The US Mint introduced three new coins in 1916 to replace the three previous Barber coins: the Winged Liberty Head ("Mercury") dime, Standing Liberty quarter, and Walking Liberty half dollar. 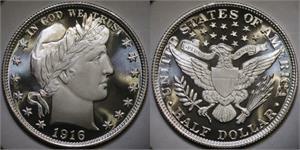 In addition to the new designs, Barber dimes and Barber quarters were also minted with 1916 dates. But no Barber half dollars were minted in 1916. A knock out, I have a few of the reqular proofs, but this one is a step above them. Great job as always Daniel. This coin has very deep mirror field, cameo design, and great eye appeal on this beautiful coin.